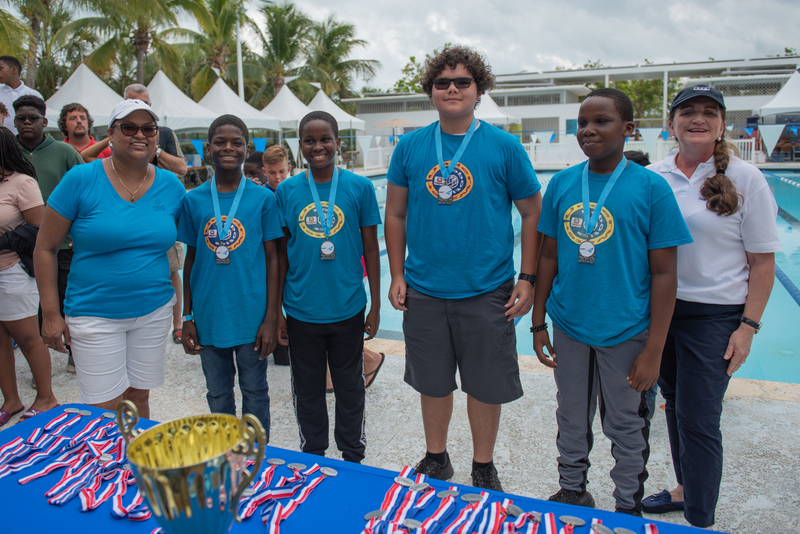 The John Gray Aqua Lasers and Layman E. Scott Brac Bots will represent the Cayman Islands for the second time at the 2019 International SeaPerch Challenge in College Park, Maryland, 1-2 June. 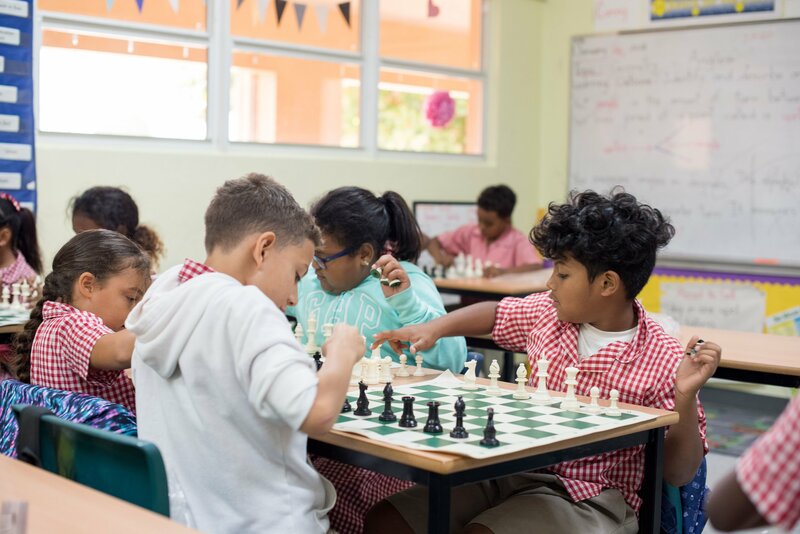 More than 120 students from 8 local schools participated in the inaugural Interschool Chess Tournament sponsored by Dart Minds Inspired. Hosted by Cayman International School, the competition was held on Wednesday, 27 February, at the Arts and Recreation Centre in Camana Bay. The tournament, which featured round robin and championship rounds with divisions for primary, middle and high school students, lasted for approximately four hours. In celebration of Engineering Week, Dart Minds Inspired and Caribbean Utilities Company (CUC) partnered to host a special screening of “Dream Big: Engineering Our World” for a select group of local high school students on Friday, 22 February. 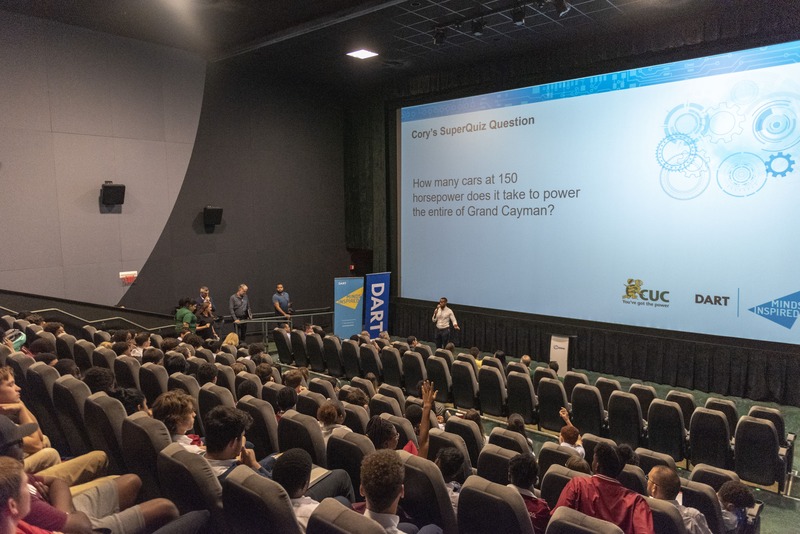 Approximately 130 students from seven high schools across Grand Cayman gathered at the Camana Bay Cinema to watch the award-winning documentary feature and experience presentations from 10 engineers from both Dart and CUC. Dart Education Programmes Manager Glenda McTaggart says the students were recommended to attend the event by their teachers as a result of their strong interest in engineering. Dart and CUC employees with backgrounds in mechanical, civil, electrical, geotechnical and biological and power engineering explained their educational backgrounds and career paths, took student questions, and highlighted the career opportunities in engineering. Dart Executive Vice President of Development Planning & Asset Management Justin Howe says engineering presents exciting and rewarding career opportunities. “An engineering degree is a very sought after and highly paid qualification, increasingly so in the connected world in which we live. It is the passport that opens opportunities throughout the world in careers that are interesting, challenging and well paid,” he says. CUC President Richard Hew says that engineers shape the world we live in. “Engineering is about making the world a better place and improving quality of life. CUC is anticipating that some of these students will become engineers in the future,” he says. Their insights had a clear effect on the student audience and, when Mrs. McTaggart asked how many students felt empowered to pursue a career in engineering, the theatre was full of raised hands. 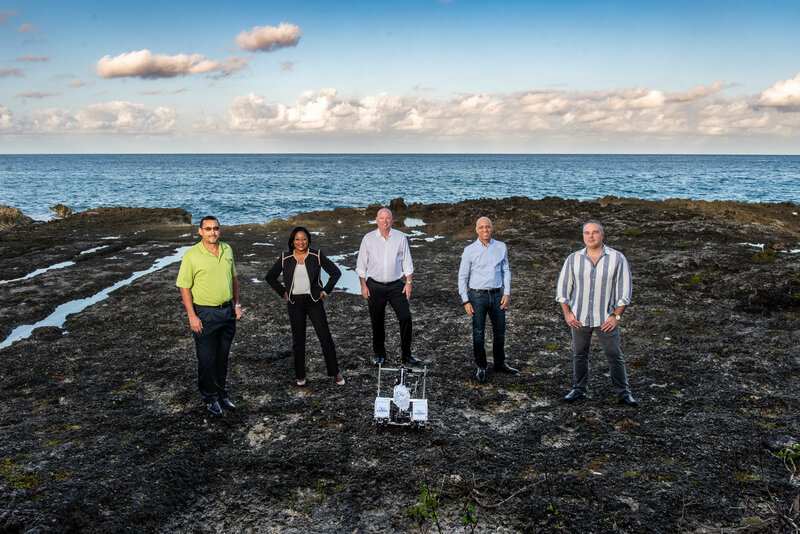 “We are proud to continue to emphasise STEM in the Cayman Islands, partner with like-minded organisations to promote STEM careers and host events that help young people engage with local innovators and leaders,” she says. 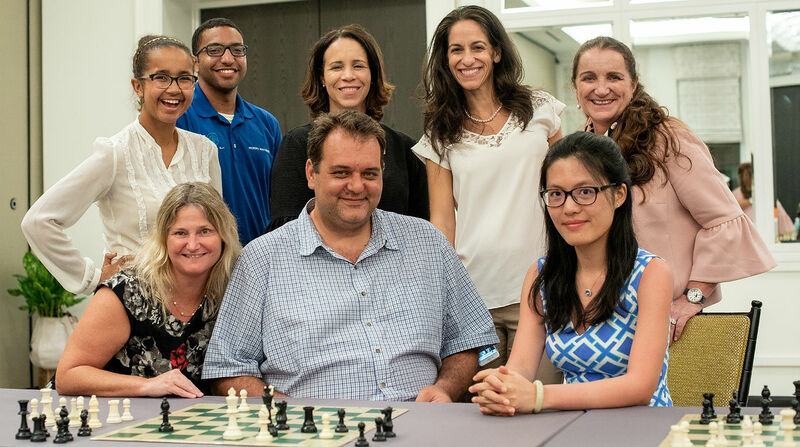 Dart Minds Inspired has partnered with Aureum Re, Caribbean Utilities Company (CUC), Digicel, and Health City Cayman to bring FIRST robotics programmes to high school students in the Cayman Islands. FIRST, which stands for ‘For Inspiration and Recognition of Science and Technology’, is a US-based non-profit organisation that inspires young people to be leaders in science and technology. Adrian Phillips-Hernaez, Ethan Cronier and Joe Allom-Perez, together known as the Cayman Islands’ first robotics team, have a lot to tell when they return to school next week after participating in the FIRST Global International Robotics Challenge on 16 - 18 August in Mexico City, Mexico. 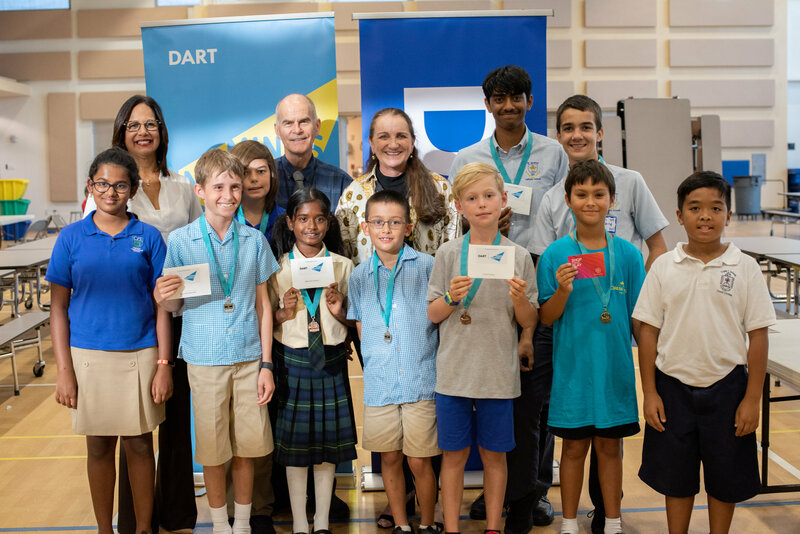 Accompanied by technical advisor Von Ryan Abrantes, physics teacher at St. Ignatius Catholic School and team manager, Glenda McTaggart, Dart Education Programmes manager the team represented Cayman amongst over 160 countries. Dart’s Junior Achievement Company “Island Totes” completed its foray in to the world of business with the successful sale of 82 tote bags and a donation of CI$600 to the Alex Panton Foundation. Shipbuilding has always held deep intrinsic value for the Cayman Islands, once as a primary source of income and now, an emblem of our culture. Our maritime history is thoroughly documented in books, paintings, through oral tradition and even music. Today, local teenagers are more likely to build virtual ships on their mobile devices than in real life, but a few fortunate students were able to design, build and sail their own crafts at the MI Academy Naval Architecture and Marine Engineering camp. Dart's Minds Inspired programme has become well known for its support of academics focused on STEM — science, technology, engineering and mathematics — subjects. Many Cayman Islands students have been recognised over the years for their achievements in various STEM-based initiatives. On May 25, Dart announced it would recognise another important element in its STEM initiative: the educators themselves. The Dart Minds Inspired Award for Excellence in Teaching STEM will launch with the start of the 2018/2019 academic year. In years past, becoming a teenager in the Cayman Islands meant one thing to a young male: he would go to sea. Today, time away at sea for male teenagers is most likely a short jaunt to Rum Point across the North Sound. The success of last year’s Mi Academy Naval Architecture and Marine Engineering camp, which is an initiative of Dart’s Minds Inspired programme, shows that young males — and some females — are still interested in connecting to the sea in meaningful ways. The late Dr. Bill Hrudey would have been proud to see Cayman’s first astronomy conference being held in his name next week. STEM — science, technology, engineering and mathematics. These subjects are interwoven in everything today's students do and learn — and more importantly, they have a role to play in every industry and every career: from art — the impact of arts learning on the ability of the brain to remember, for example — to health, and the ability of an app to interpret data and determine whether breast tissue samples are benign or malignant. The John Gray Aqua Lasers Too and Layman E. Scott Brac Bots are representing the Cayman Islands at the International SeaPerch underwater robotics challenge in North Dartmouth, Massachusetts, U.S., this June. Six years after launching the first Minds Inspired scholarship, Glenda McTaggart now manages a programme that includes 19 scholars, work experience for 40 summer students and a busy calendar of events based on science, technology, engineering and mathematics, or STEM.